Two married couples become increasingly agitated with each other as they find out things about each other's past, while one of them is receiving disturbing packages from an unknown source. "James Toback Humped My Leg In Central Park"
Monique Watson, a 10 year old African American girl goes missing in Brooklyn, New York. Dalita and Elika are two young women caught up in the webs of drug-dealing and prostitution, in a land of sands and luxury. A story about friendship, jealousy, lust and lamentation. Under the eyes of a teenager an entire dramatic chain of events is taking place. He understands that with the power of his mind he can push the time back and change the destiny and course of events of multiple people. The story of two co-workers Cristi (Cristi Iacob) and Ioan (Ioan Andrei Ionescu) who experience a weird outcome from a series of events having a homeless as the key element. A couple tries to solve their problems with a device that allows them to watch one another's dreams. It doesn't end well. Ron: You're not gonna tell Nicki, are you? Les: No, but you should. Ron: I'm not going to. Les: Damn I surprised! You always seem like a coward to me. I don't know how to express in words what this movie is "about" because it is about A LOT of different things. It's about the world, it's about life as an adult, it's about marriage and love; it's a story that is prime example of Murphy's Law. It's life itself shown in an entertaining way with at times very funny and shocking moments. It's "moving" art in a very abstract way (not Kubrick abstract, more of a Shakespearean irony). This (after 1 viewing) has become one of my favorite movies of the year because of how different it was. 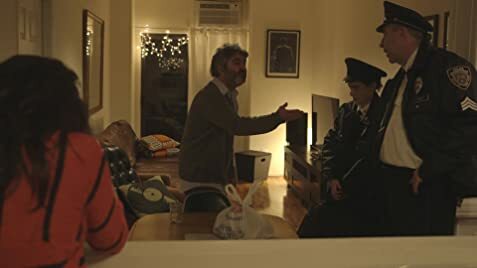 A good movie that's hard to summarize yet I get exactly what it's about, that's one of those movies where you don't mind talking about it with friends later (you may not want to watch this with your significant other) or just chatting online about it. I could actually see this being done as a Foreign film so it's surprising that this isn't a Foreign film (although now i am going to see where the screenplay came from). It had that story that we neglect these days in our films. Honestly I can go on and on about the things in this film that just were fantastic but I'd be saying things vaguely because I just don't want to ruin the film for anyone. 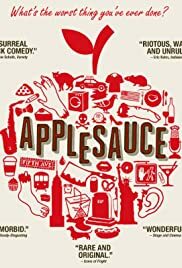 This is a movie meant to challenge your way of thinking; yes it is very funny at times but it does a lot of things very clever and if you just pay attention to the surface story you will miss a lot of these things that impressed me so so much.